A NEW happening yoga studio is hosting an open day on June 3. 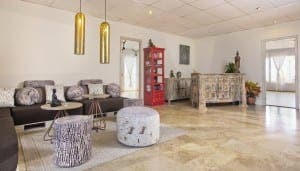 Radiant Yoga Marbella is inviting yogis of all levels to try out its refurbished Los Naranjos premises. Classes will be free on the day, which also includes a programme of interesting alternative activities. The types of yoga include Rocket Ashtanga, Yin Yang Yoga, Aerial Yoga and Hot Strala Yoga. The even will also see the launch of The Light, A Book of Knowing, along with a powerful sound bath Gong Meditation, all the while raising money for the David Toms Support Fund. For full details see the programme on the FB page Radiant Yoga Marbella.